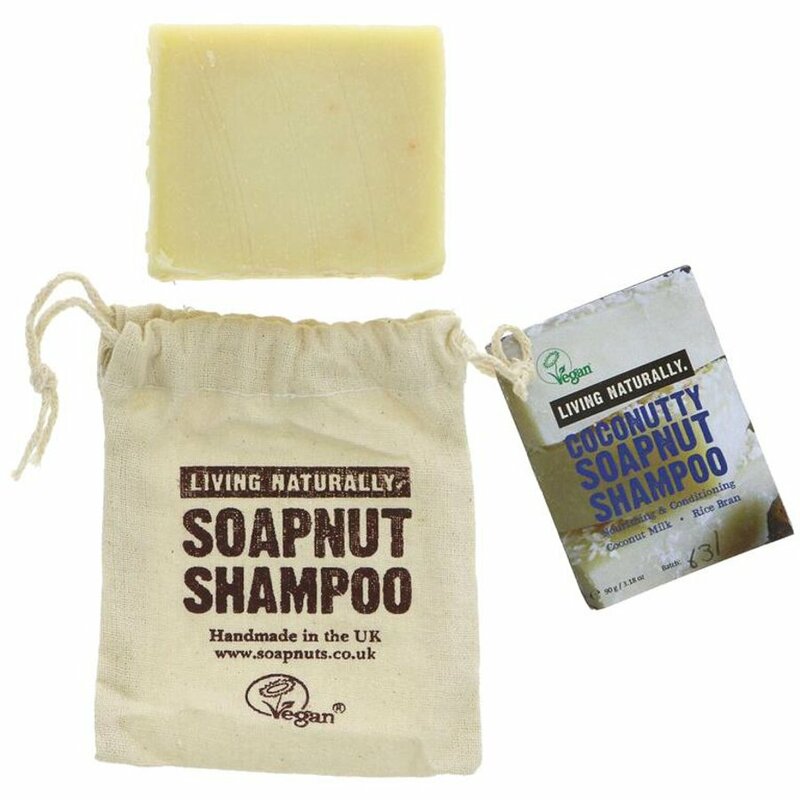 Suitable for your hair, face, hands and body, this Coconutty Soapnut Shampoo Bar from Living Naturally is a multi-purpose product with lots of lovely benefits. It contains lots of organic coconut milk, which is fantastic for cleansing the skin by removing dirt and excess sebum as well as keeping the skin well hydrated and moisturised. It also contains organic avocado oil, which is a wonderful moisturiser and perfect for dry, brittle, and damaged hair. It is also great for deep conditioning, strengthening hair, and adding shine. The vitamins, amino acids, and high fat content promote healthy cell growth and are great for maintaining and healing dry, itchy scalps. Suitable for all hair & skin types, especially for dry or lack lustre hair & skin or inflamed sore skin. 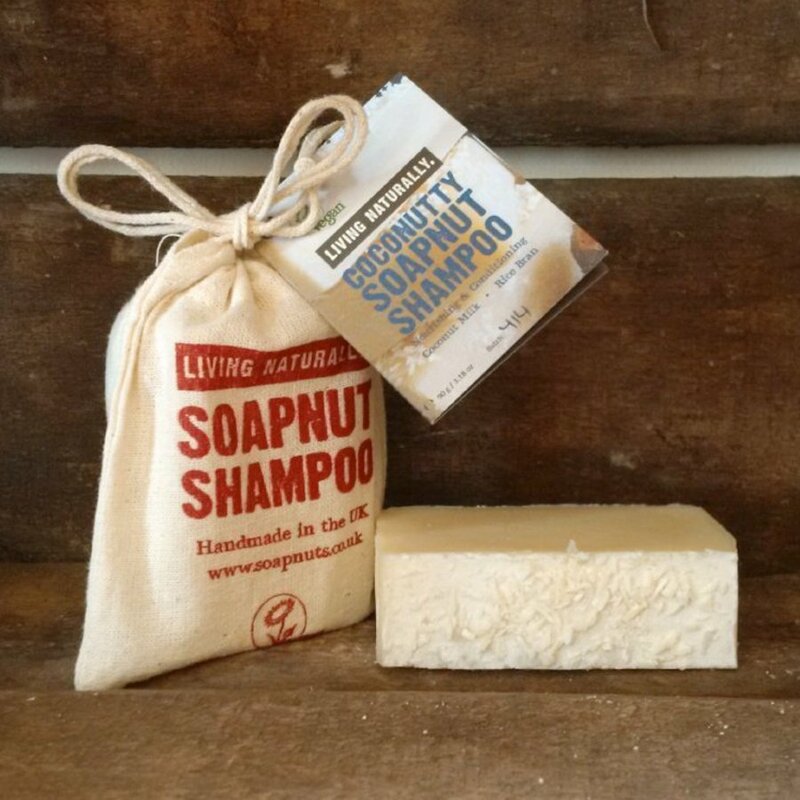 SLS & palm oil free. Wet bar and lather in hands, apply lather to hair. Or alternatively rub bar directly onto hair and lather well. We recommend using Living Naturally Herbal Hair Rinse Conditioner for amazing, bouncy & shiny hair but also to get rid of any soap/grease or product residue. Some find it helpful, to use the apple cider vinegar/herbal hair rinse conditioner before you wash your hair with the shampoo bars. Apply to hair, comb through and rinse out. Then follow shampoo steps above. 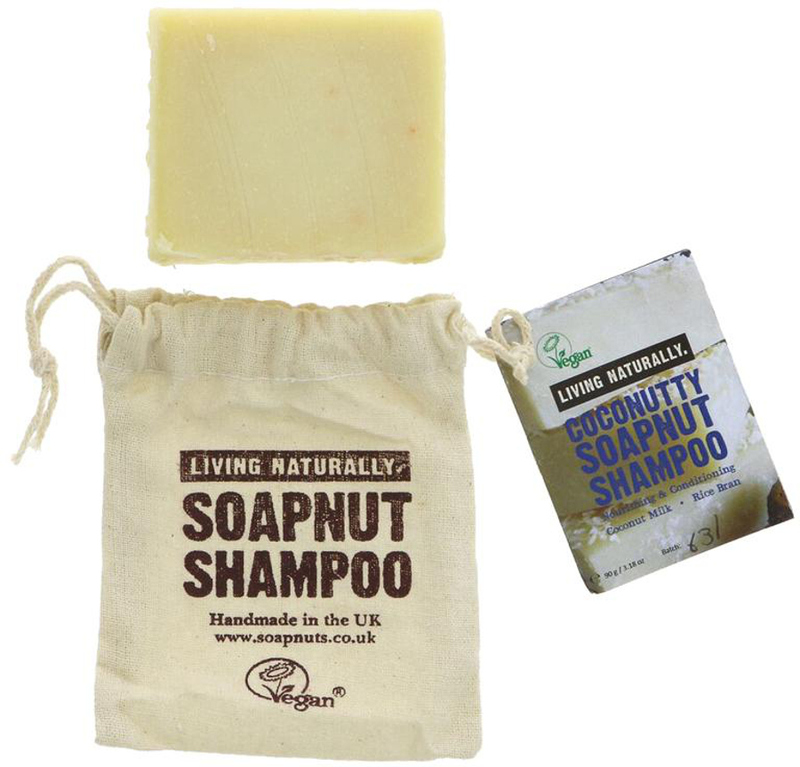 The Living Naturally Coconutty Soapnut Shampoo Bar - 90g product ethics are indicated below. To learn more about these product ethics and to see related products, follow the links below. I have persevered with the bay and beer soap it shampoo bar and found it left residue on my hair. This one is great for my fine but thick and quite oily hair. My skin has really kept its moisture too. It’s fantastic! Love how soft and shiny my hair feels, and it keeps it naturally curly. The bathroom is plastic bottle free now, and I am sure the shower is cleaner too. Win win! Didn't really work as shampoo in my hair, its too oily, doesn't seem to wash dirt out and is quite oily. However, I do use it as a conditioner, which I use about once a week (too rich for everyday use for my hair but probably really good if you have dry hair) and would buy again for that purpose. Very disappointed. I've used many natural solid shampoos and this is by far the worst. Bought based off other 5 star reviews, so don't know if mine is a dud. Absolutely stinks, like mouldy turnips! Texture is so waxy and left my hair feeling tacky. Had to rewash straight away. Have had to melt this down and add other ingredients to ensure it doesn't go to waste, an extra step I didn't pay almost £5 to do. Buy the friendly soap bars instead, cheaper and better! A: Hi, Thanks for the query. This bar does in fact have a coconutty scent, so we could not recommend this to anyone who is sensitive to fragrance. Hope this helps. 11 out of 12 found this question and answer helpful.